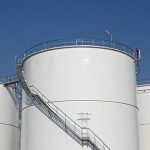 Storage tanks sometimes contain hazardous materials that need to be carefully contained. Leakage of these hazardous materials would result in contamination of the environment and could cause harm to those who are exposed to the materials. Lehn Painting provides secondary containment coating solutions that extend the life of your bulk storage tanks, ensuring that the surfaces of your secondary containment do not begin to deteriorate. Secondary containment systems come in a variety of shapes, sizes and materials. The EPA’s SPCC Guidance for Regional Inspectors states that “secondary containment is required for all facilities with bulk storage containers, large or small, manned or unmanned, and for facilities with bulk storage containers that also have oil-filled equipment.” It is important to protect bulk storage containers surfaces from deteriorating by preparing the surface and coating the surface with the correct secondary containment coating system. We serve Cincinnati, OH and the surrounding tri-state area including Ohio, Kentucky and Indiana. Secondary containment surfaces, tank surfaces, Corrugated metal pipe, steel surfaces, material hoppers, rail cars and masonry all can come in contact with corrosive or abrasive materials or harsh conditions that result in their deterioration. Lehn Painting has the expertise to determine the correct coating system for your secondary containment application. Lehn Painting offers world class secondary containment coating solutions. We have diverse experience in preparing secondary containment areas using sandblasting, pressure washing and grinding which allow us to provide innovative coating solutions. We conduct site visits to determine the coating solution that is right for your business operation. Our team always strives to exceed the customers expectations. 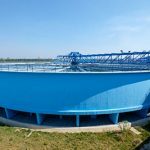 We have vast experience of preparing and coating a variety of bulk storage container applications, including: water treatment facilities, chemical plants, storage facilities, petrochemical facilities, oil refineries, power plants, and water plants. Contact us today to discuss your secondary containment coating needs with one of our experts.